Buy 3D Printers/Kits, Printing filaments & 3D Scanners from our Store at affordable price. Secured Payment System. Worldwide Shipping Available. Our site is a one stop 3d solutions for 3d printing machines. 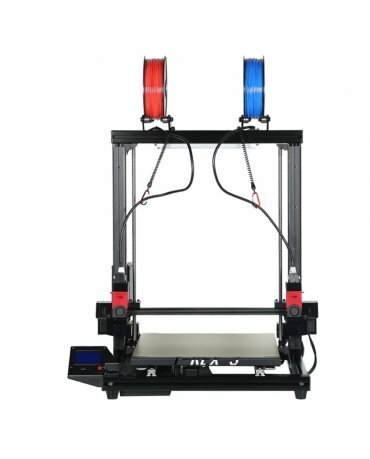 Please write to us, if you need any assistance to select your 3d printer. Get up to $5 OFF on your purchase! Like, Share, Tweet, Follow and get Discount! Sharing on your facebook wall gives you $2 discount where tweet, follow and like gives you $1 each. Totally you will get $5 discount on your Purchase. New Tevo3D Tornado Gold Edition - Fully Assembled Large Metal Frame 3D Printer with Full Metal E3D Bowden Titan Extruder. Fast Heating Silicone hot bed. This product has no stock!! Please enter your information to form bellow. We will send you notification when it is back! ©Copyright 2013-2018 by 3D Printers Online Store. All Rights Reserved.